When it’s hot outside, a refreshing spritz of a moisturising mist can do wonders for dry skin. KATHLEEN® Rebalancing & Soothing Tonifying Mist quenches skin with abundant moisture to maintain balance and helps to relieve dry patches and soothe irritation. This beautiful mist has also been featured in British Vogue. It packed with active aloe vera and glycerin to gently revitalise skin suppleness, and chamomile water and lemon extract which work together to heal and soothe skin irritation, leaving skin more toned, less red and with a radiant appearance. Perfect for a post-cleanser toner or whenever your skin needs refreshing and soothing and leaving you flawless holiday skin. With the innovative T1 – Intercellular Technology® to improve our quality, allowing active ingredients to be concentrated into the condensed micro-molecules that would coat the entire surface of skin cells which enables the cells to absorb the ingredients more easily and efficiently. The application of this technology has been amazingly successful and it is registered under Kathleen Natural Limited. 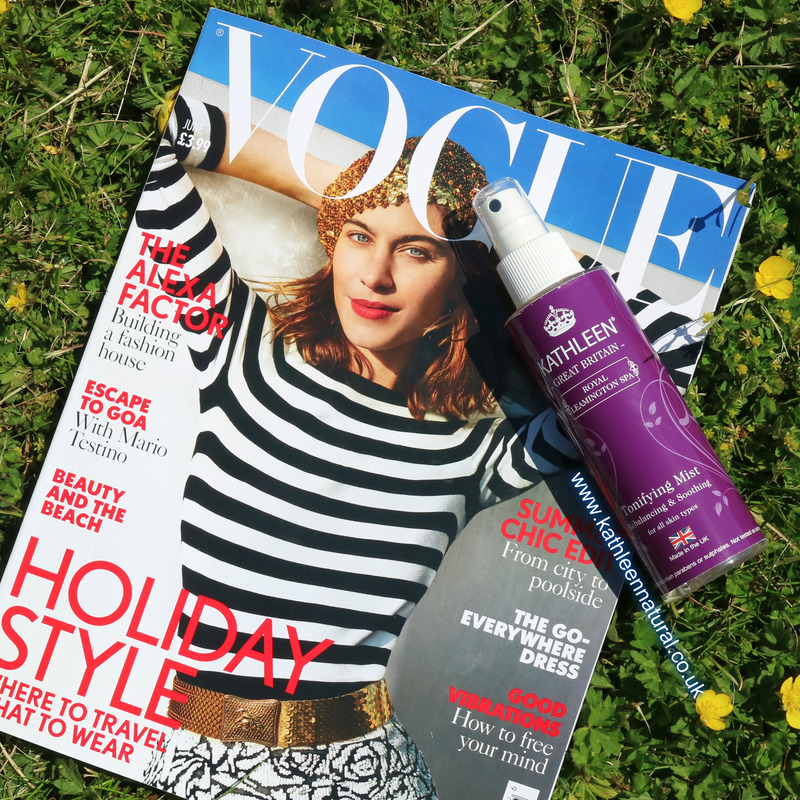 If you found this post interesting, you might also like Amazing White Illuminating Serum and the Beauty Shortlist Awards and Why Caviar Enrich Eye Cream won the Natural Health International Beauty Awards 2017?